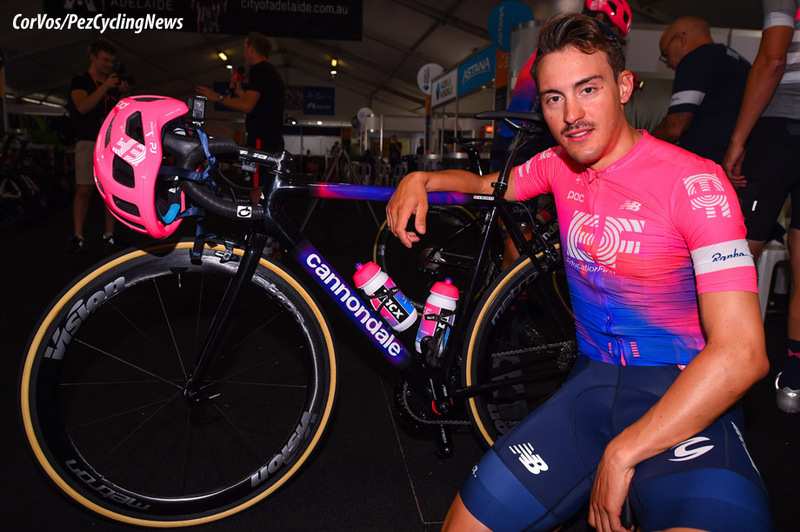 PezCycling News - What's Cool In Road Cycling : Who Is Alberto Bettiol? 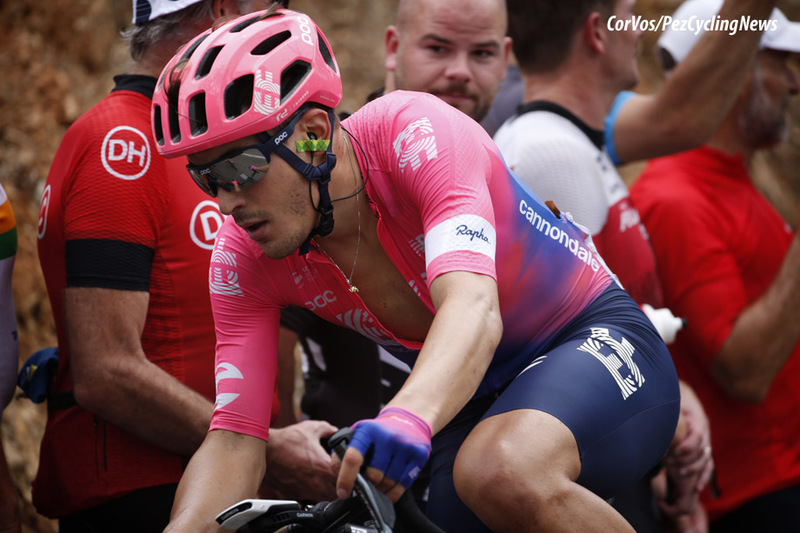 Rider Profile: Alberto Bettiol is a name that has been cropping up for a while, but since the start of the 2019 season, the Bettiol 'cognome' has been near the top of the finishing sheet and on the podium. Ed Hood takes a look at this new 'Young Gun' on the block that's knocking on the door of the big time. The closing time trial in Tirreno-Adriatico; Victor Campenaerts (Lotto Soudal and Belgium) wins with Jos Van Emden (Jumbo-Visma and The Netherlands) in third place; fair enough, Victor is Belgian and European TT Champion as well as a Worlds TT medallist and Jos is a former National, European and Worlds top 10 tester, not to mention a Giro TT winner. So who’s this dude separating them, 25 year-old Alberto Bettiol (EF Education First and Italy)? 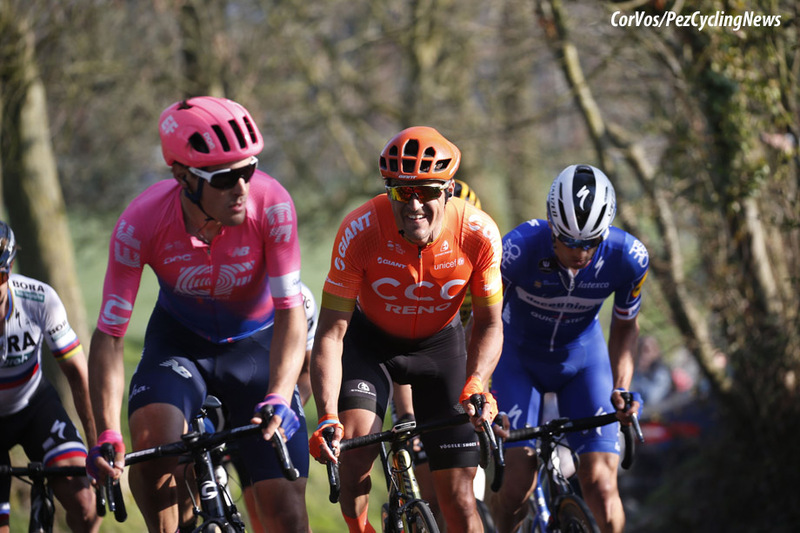 He was also frisky in the closing stages of Milano-Sanremo – then he pops up in the winning break in the GP E3 Harelbeke and finishes fourth. We best have a closer look at this guy. Perhaps his second place in the seaside Tirreno clock burst should come as no surprise; the young Bettiol was European Junior Time Trial champion in 2011. 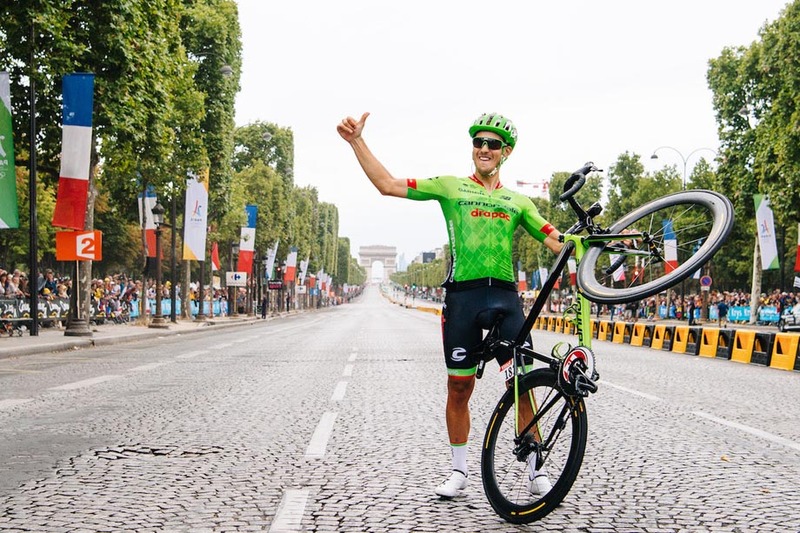 He enjoyed an outstanding Italian U23 domestic season in 2012 and in 2013 was on the podium of his U23 National Road Race Championship with a bronze medal. That season he also took top 10 spots in the U23 European Road Race Champs and the U23 Tour of Flanders. Tour de France bound in 2019? 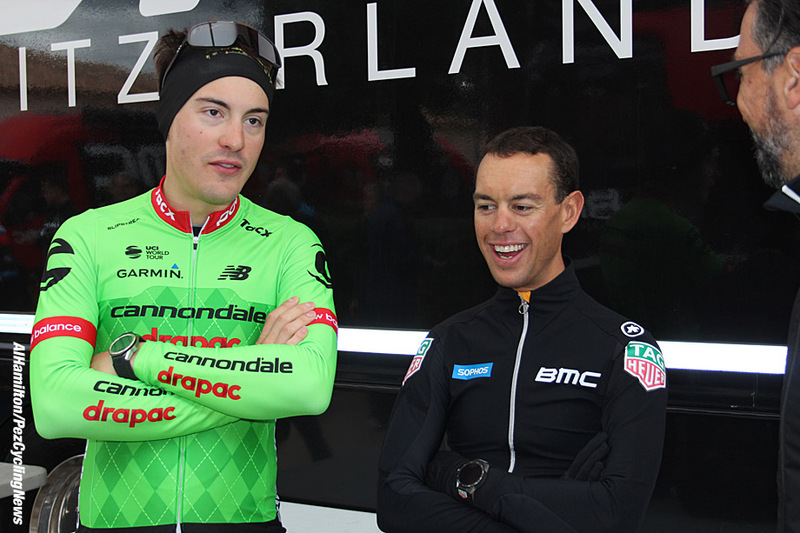 He turned pro with Cannondale for 2014 but it was 2015 before his first result to take note of with a top 10 in Piemonte. 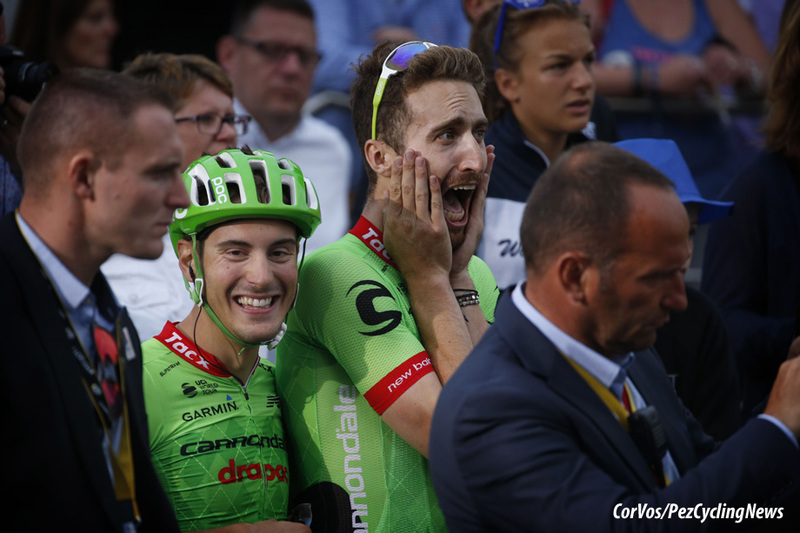 In 2016 there was a string of eye opening top 10’s in Plouay, Quebec, Montreal, Piemonte and a third spot on final GC in the Tour of Poland – very promising. A year later and the solid top 10’s continued with San Sebastian, Coppa Agostoni, GP Beghelli and. . . GP E3 – the shape of things to come? 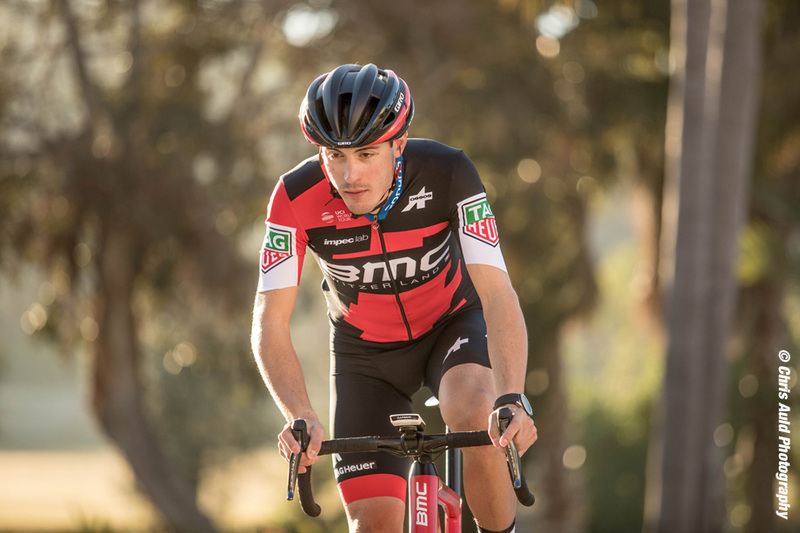 Last year he left his team of four seasons, Cannondale, and the various incarnations of that squad and joined BMC. 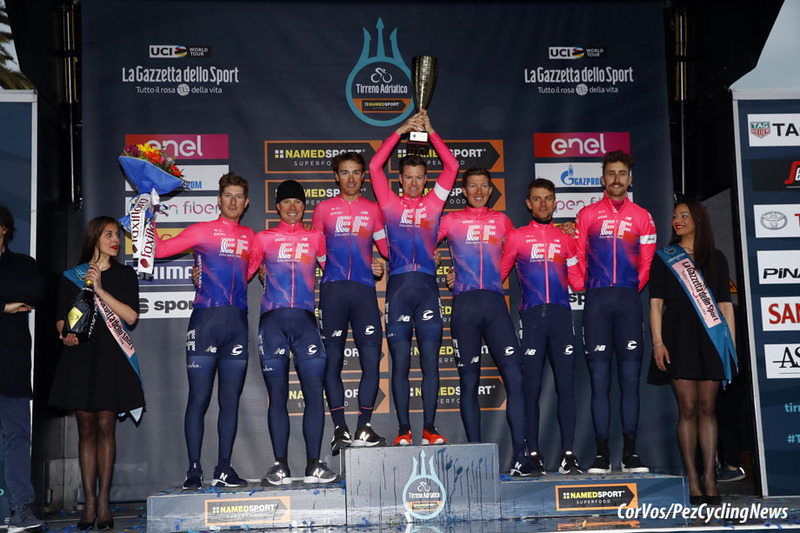 It wasn’t a great year with just a shared TTT win in Tirreno to write home about. 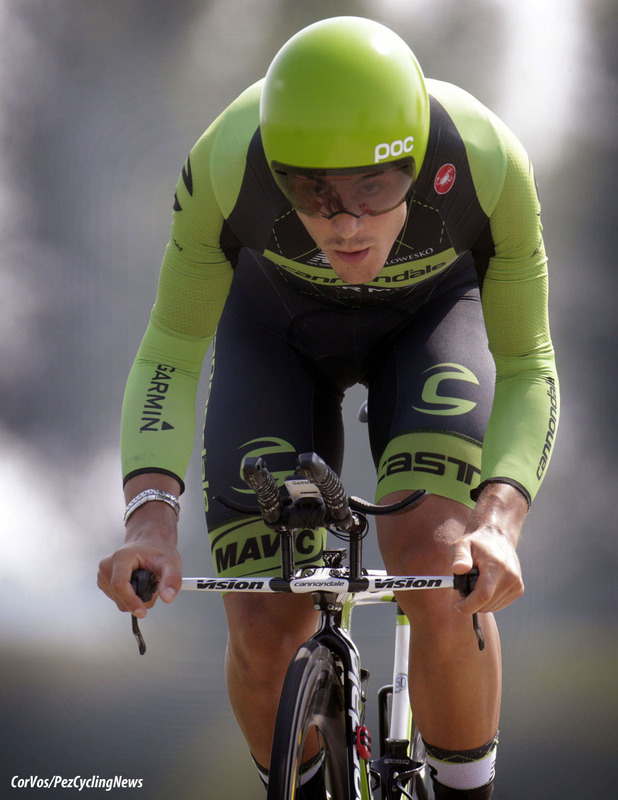 But this year sitting back on a Cannondale he’s started his year very strongly with his Tirreno TT podium; grabbing TV time for his sponsor in The Primavera and now a highly commendable showing in another World Tour race, this time at Harelbeke. 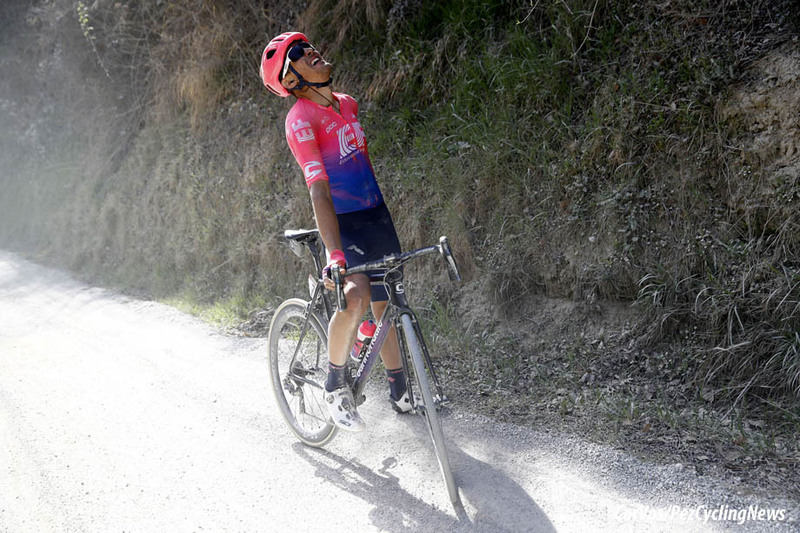 We had a wee peek at the EF website to see what Alberto had to say for himself after his big day out over the bergs and Kasseien of Flanders. 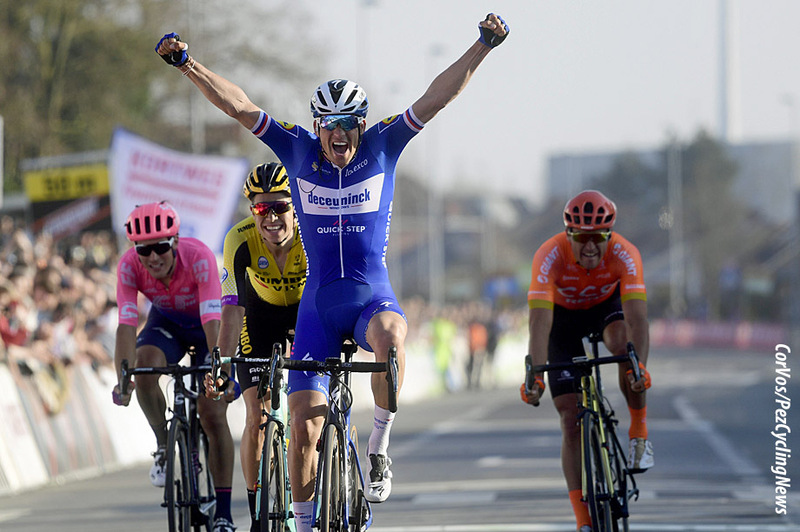 "The exhilarating finish in Harelbeke represented a career-best result for Bettiol with the biggest spring races still to come." 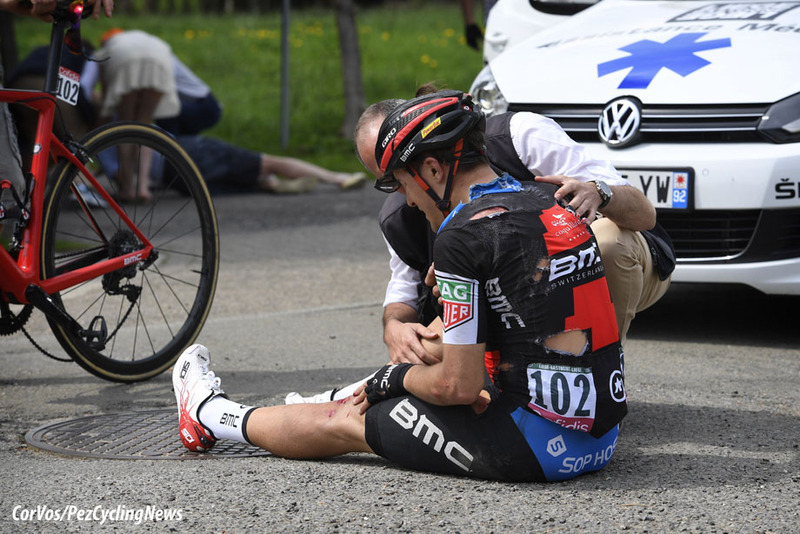 "For three or four years now I have raced the Classics. If you are good on the cobbles, the climbs, the sprints, you can go well in the Classics. Today tells me my form is pretty good right now. I’m happy. I’ll keep on and stay concentrated. I can help the team, and, if the team says I’m the captain, I’m ready to race for the victory." "If you ask me about the race and the results, of course, I can say we did really good team work today because of Tom [Scully], Mitch [Docker] and the others things worked out nearly perfectly. I had the feeling Stybar would win today, but if you sit in the wheel, you never finish better than second. 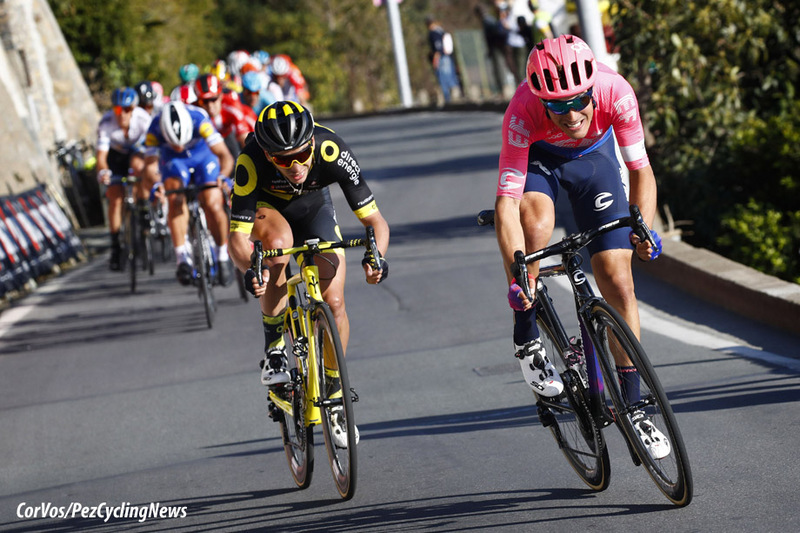 We maybe made a little mistake with one kilometre to go but Alberto knows his mistake, and he will take it him into the next races." 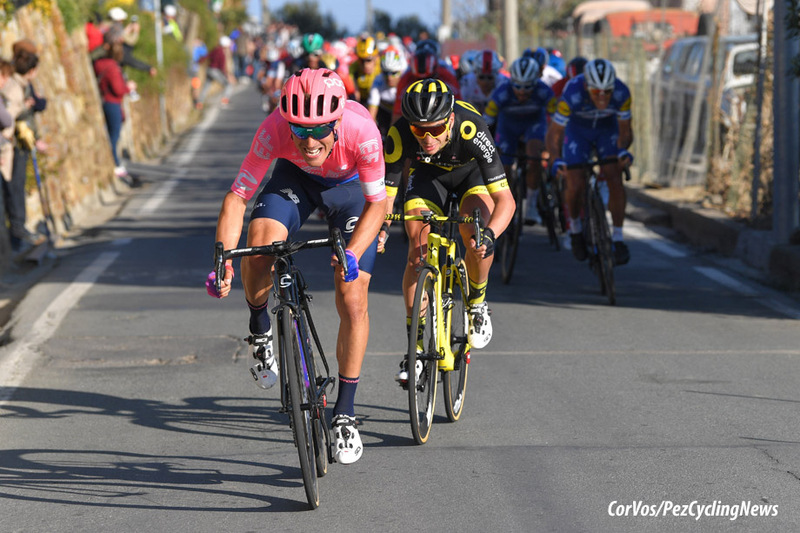 PEZ looks forward to those ‘next races’ with interest – with Wout Van Aert, Mathieu Van Der Poel and now Alberto Bettiol there’s a new wave on the horizon. . .